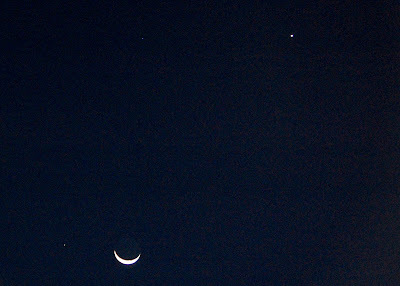 The crescent Moon, two stars, and a planet form a beautiful lineup at first light tomorrow. 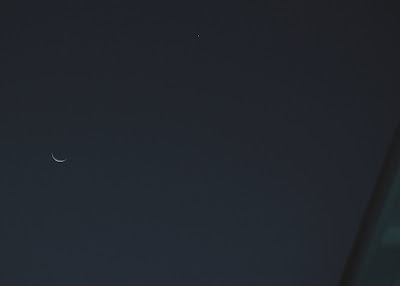 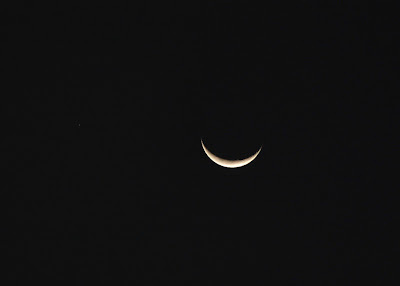 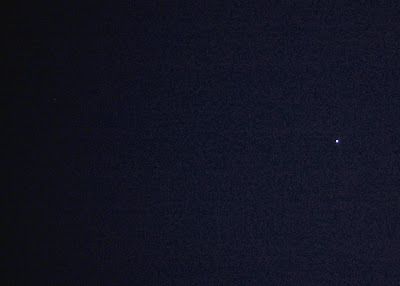 Venus, the “morning star,” stands well above the Moon. 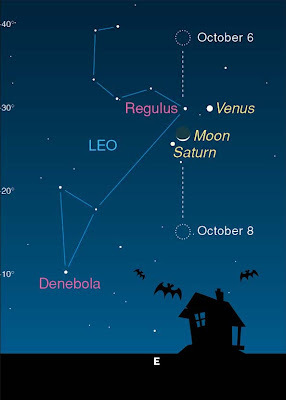 The planet Saturn and the star Regulus are between Venus and the Moon, with Saturn the brighter of the two.